details. The maps will be on display in the main entrance to the Library on Friday the 27th and Monday the 30th of June. This entry was posted in Uncategorized on 26 June 2014 by stuart. Today’s date, June the 6th 2014, marks the 70th anniversary of the D-Day landings on Gold, Sword, Juno, Utah and Omaha beaches on the Normandy Coast. Whilst the day itself was a turning point in the war the planning involved in the operation had started the year before, after the Trident Conference in Washington in May 1943. 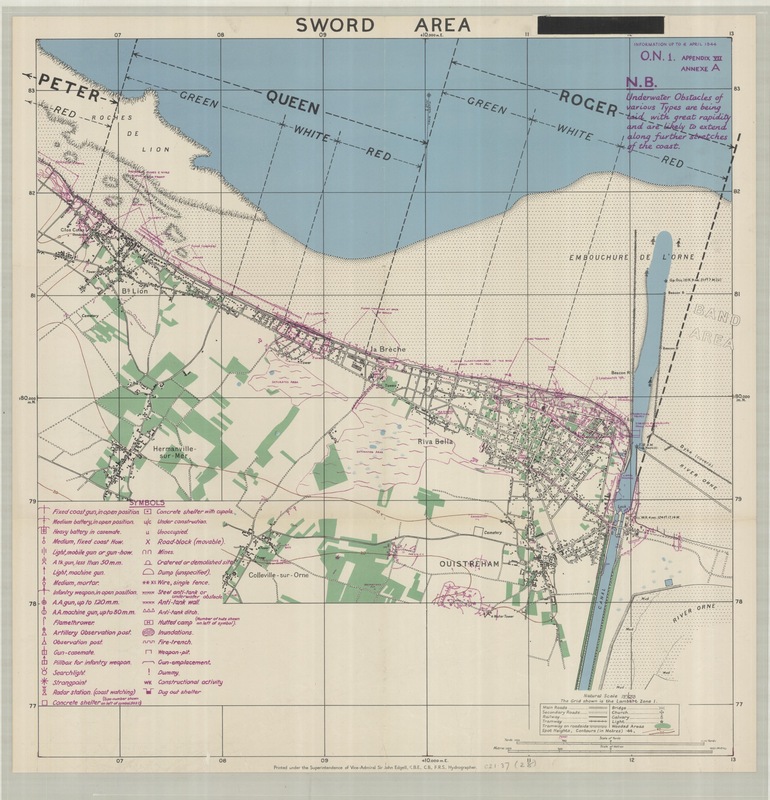 In between the conference and the landings maps were produced in their thousands on themes such as enemy defences, landing zones, drainage, agricultural regions and waterways. 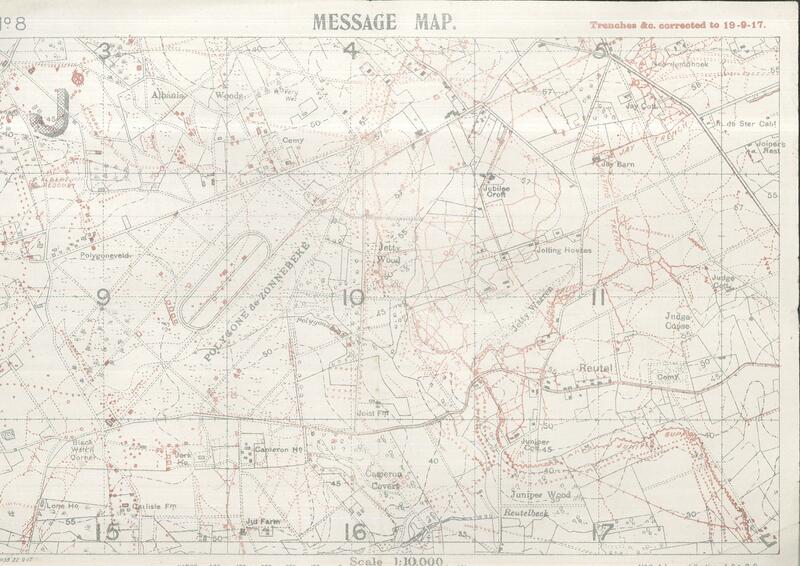 We show here extracts taken from a set of five maps for each of the landing beaches. up with canadian forces. Troops on Sword advanced in land to their objective, Caen. 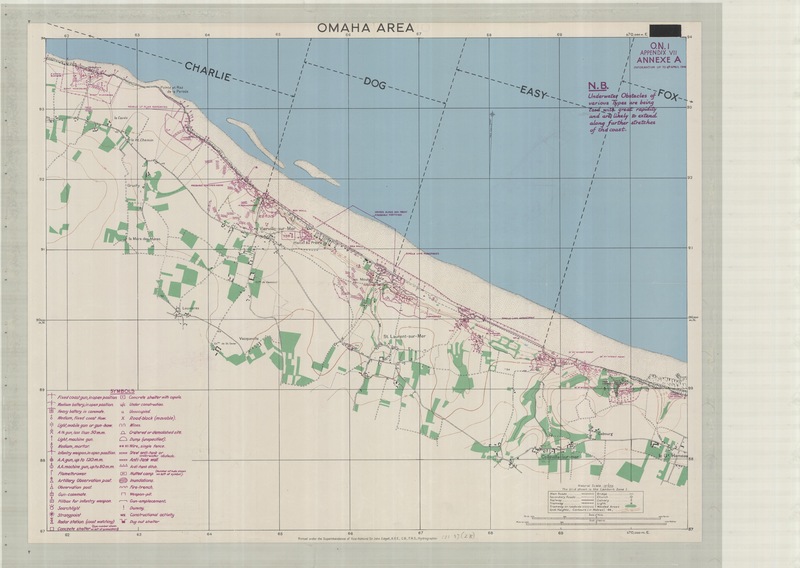 American troops landed on the heavily defended Omaha Beach. 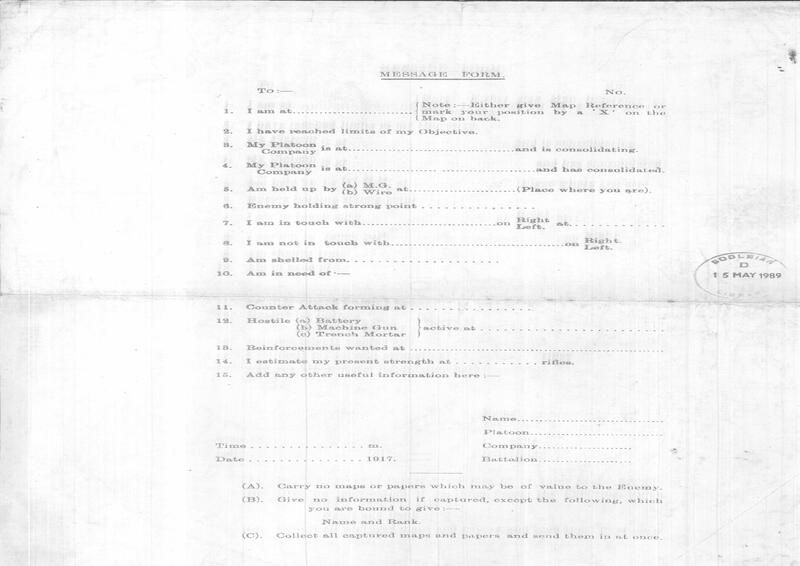 Their objective was to set up a beachhead and link up with troops landing on Gold but problems with dropping of troops in the right zones and the large numbers of casualties taken during the initial assualt delayed this by a number of days. 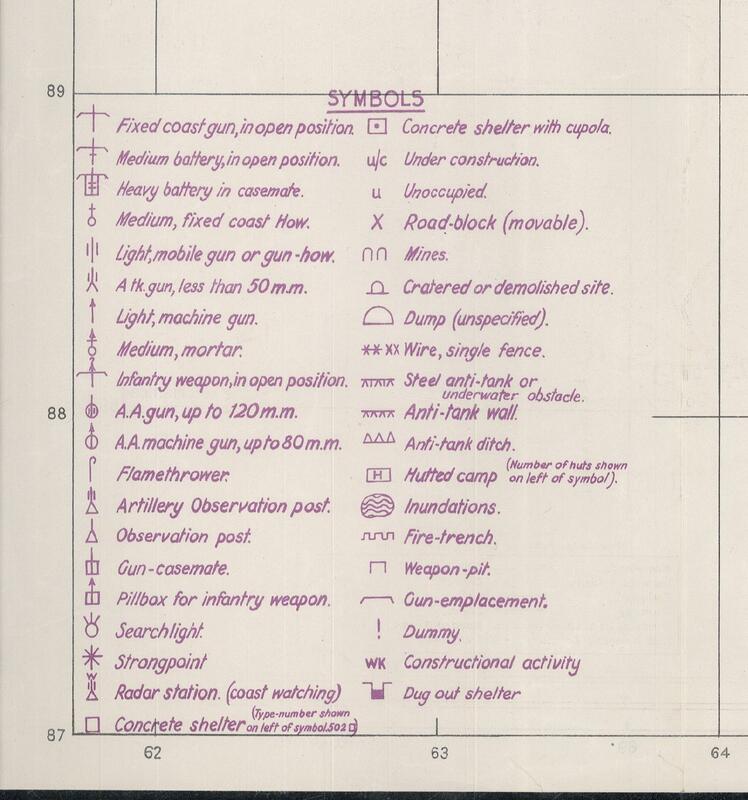 These were mapped out using information from the local resistance movements, aerial observation and photographs taken from small submarines off-shore. 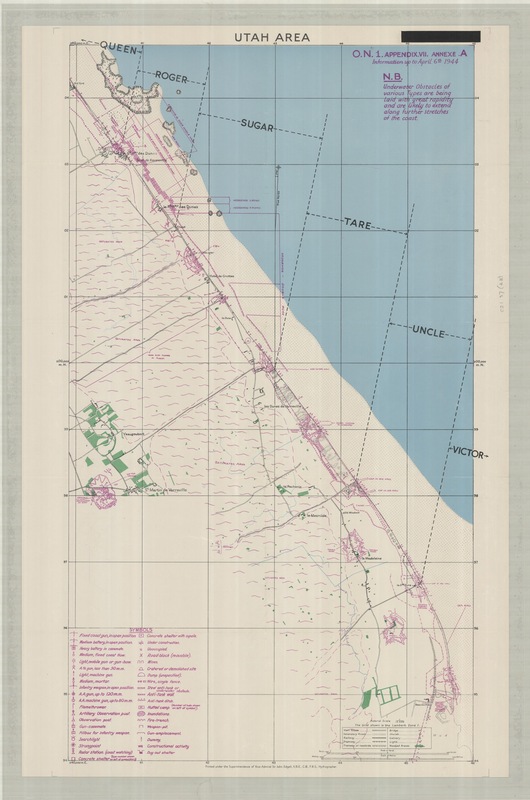 The Bodleian has a large collection of D-Day and other Second World War mapping available for consultation. This entry was posted in Uncategorized on 6 June 2014 by stuart.